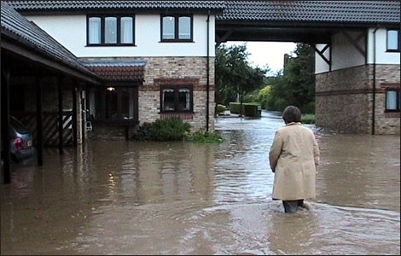 On 20 July 2007, Thatcham suffered widespread surface water flooding affecting at least 1100 homes and causing severe hardship and economic loss to people and businesses. In response, the council produced the Thatcham Surface Water Management Plan (SWMP) in partnership with the Environment Agency, Thames Water and Thatcham Town Council. This study assessed in detail the causes of the flooding and proposed options to reduce the risk of flooding in the future. The SWMP identified a flood defence strategy that comprises a series of attenuation basins in and around Thatcham. These basins are designed to collect and store flood water coming from the fields to the north of Thatcham and to release it at a controlled rate into the underground surface water sewers. 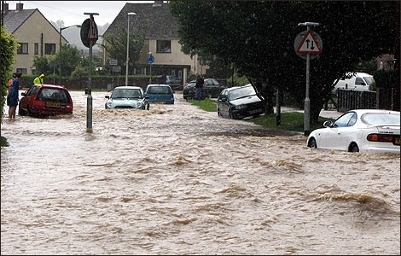 The proposals are being implemented as part of a rolling programme of flood defence measures. As part of the strategy to protect east Thatcham from flooding, the Dunston Park and South East Thatcham schemes have been developed. This follows on from the Cold Ash Hill flood defence scheme completed in 2014 and the Tull Way flood alleviation scheme, which was completed in 2017. The proposed Dunston Park flood alleviation scheme (to the north of Floral Way) involves the construction of a large flood storage basin (a dry reservoir), designed to protect homes in the north east area of Thatcham. However, there are several other flood routes to the south which would still leave parts of east Thatcham vulnerable to flooding. Therefore, the south east Thatcham scheme has been designed to manage the remaining overland flood routes by constructing strategically located earth bunds (small embankments) and swales (shallow ditches) in Dunstan Green and the Kennet School playing fields, from where it will be directed into basins located in the Siege Cross public park area. The completed schemes will provide the national standard level of protection against flood up to a 1 in 100 year storm event, plus a further twenty percent allowance for climate change. Improvements will be made at the southern end of Harts Hill Road to divert water from the road into the Dunstan Green Park area where it will be temporarily stored before slowly draining into an underground sewer. The schemes have been designed in a way that will improve the amenity and bio-diversity of the Green through extensive planting and landscaping works. Although some existing trees will be removed a substantial number of new trees and screening hedges will be planted to mitigate the flood defences and enhance the area at both sites. Keep up to date with the progress of the schemes on the South East Thatcham Flood Alleviation Scheme blog.